Starting solid Silver at the front, the easy-to-apply graphics gradually fade to the rear as shown. 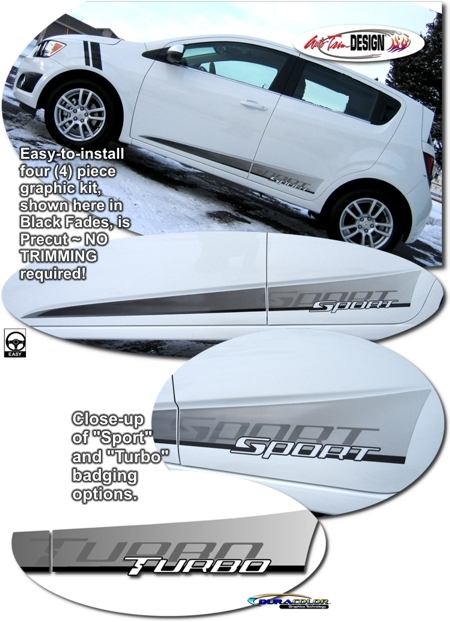 Kit provided with "Turbo" badging on the rear door area as shown in image. Available here in Silver Fades, kit is precut - NO TRIMMING required - and is set to be placed as recommended on our Parts List.